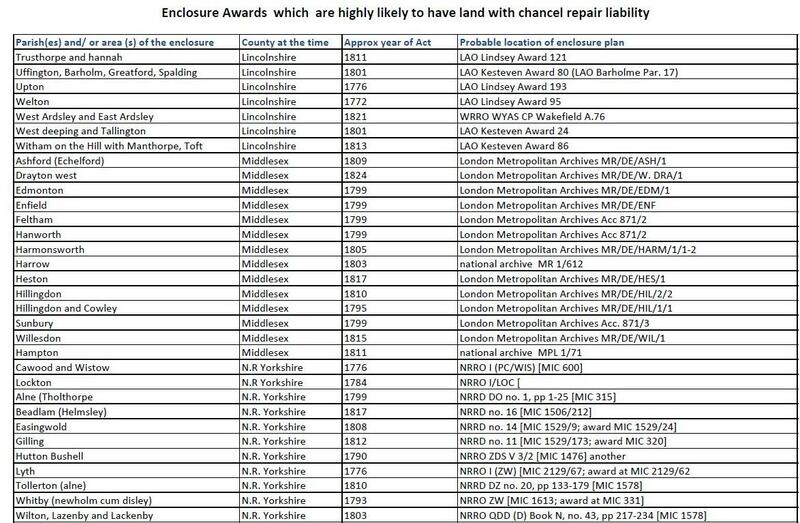 This is a extract from a pdf file of places which probably have chancel repair liability as a result of an enclosure award made after 1771 via an enclosure act and there also seems to be an enclosure plan in existence so liability could well be proved. The full file can be downloaded from here. The 1757 to 1771 can be found here.